They may be out of the nest, but they're not independent yet! 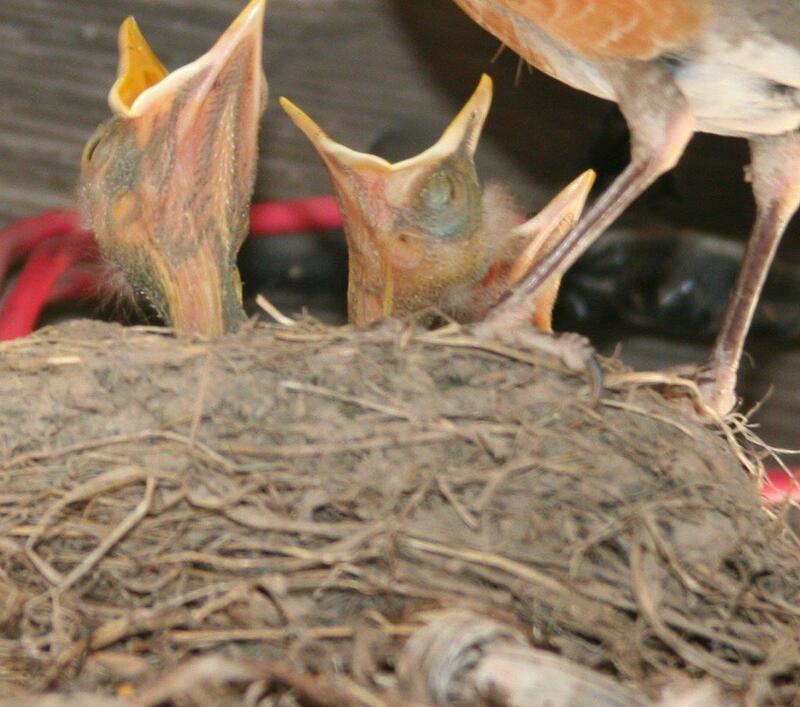 After hatching, baby robins spend up to 15 days in the nest. 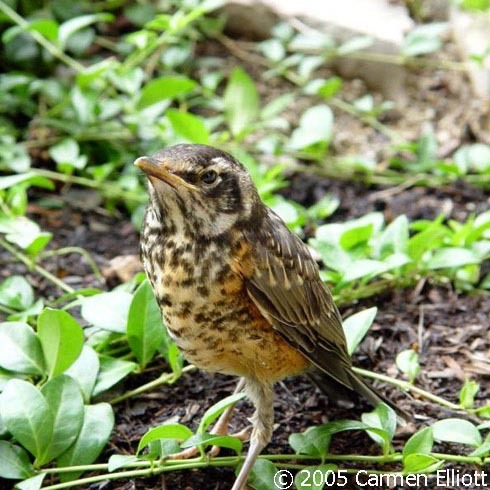 By July, many young American Robins have left the nest, or fledged. But they aren't ready to make it entirely on their own yet, and they follow their parents around, learning to fend for themselves. Outside of the breeding season, robins tend to form large flocks, often feeding on berries and fruits. Would you like to become a BirdNote benefactor? Begin here. Thank you! The brick-red breast and brown back are a familiar sight, as the robin sings from the top of a tree or searches for worms on the lawn. 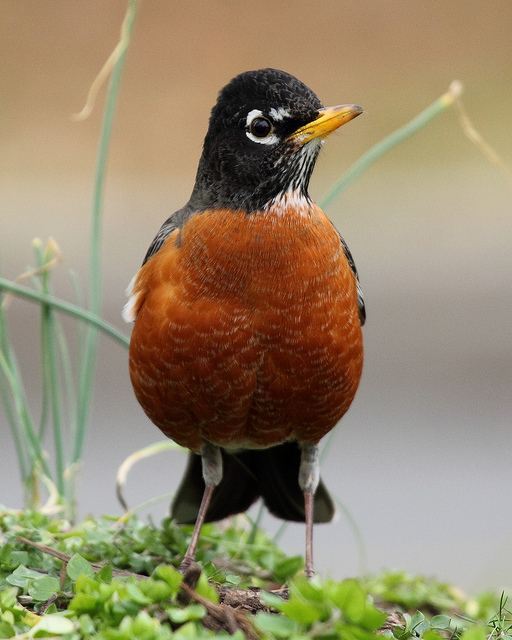 But have you recently noticed a similar-sized bird with a boldly spotted breast, hopping along with the robins? Most likely this, too, is a robin — a juvenile* bird. 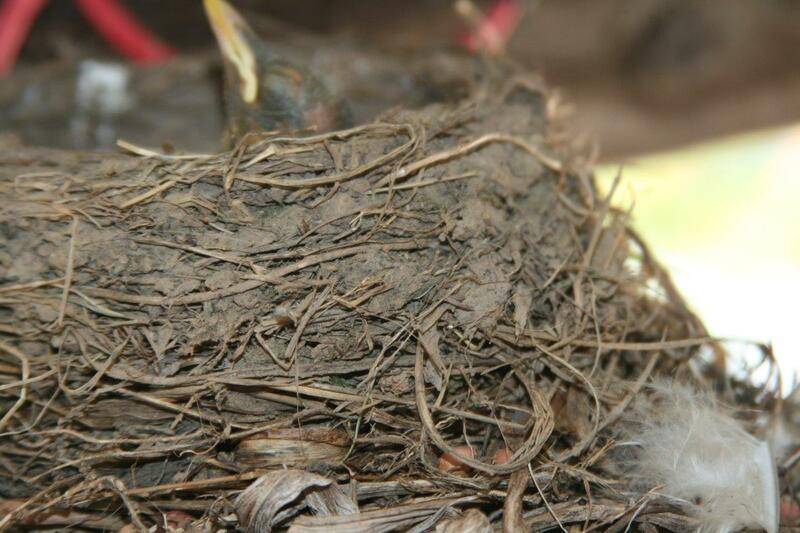 Baby robins hatch blind, featherless, and helpless. 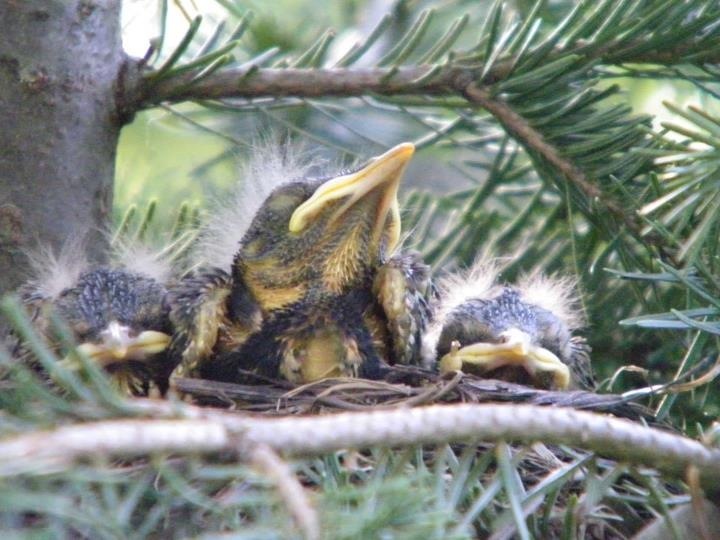 They spend up to fifteen days in the nest gaining size, growing feathers, and preparing for the world outside the nest. By July, many young robins have left the nest, or fledged. But they aren’t ready to make it entirely on their own, so they follow their parents around while they learn to fend for themselves. At this time of year, you might see a parent robin yank a worm from the grass, hop over, and feed it to the juvenile*. Editor's note: Strictly speaking, a young bird out of the nest but still being fed by its parents is called a "fledgling." When the bird is independent of its parents but not fully mature, it is considered a "juvenile."